Finally, the perfect Tongs for use with non-stick cookware. 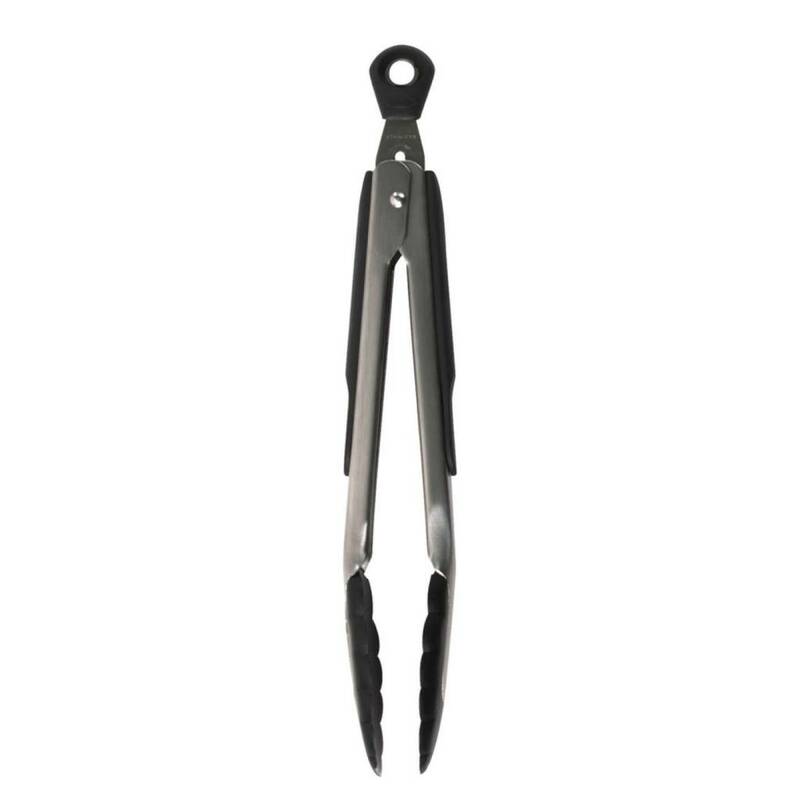 These OXO Good Grips Tongs with Nylon Heads feature sturdy, stainless steel construction and soft, comfortable, non-slip grips with nylon heads to protect your cookware. The scalloped nylon heads securely hold food and are heat resistant to 400ºF. 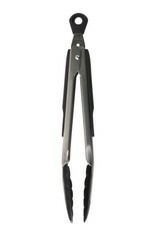 The Tongs with Nylon Heads lock closed for convenient storage and are dishwasher safe. Available in 9-inch and 12-inch lengths.